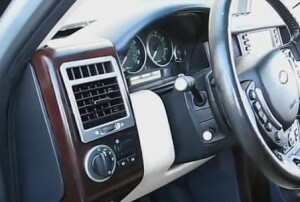 If your original Range Rover radio head unit is broken, or you think it cannot fulfill your needs anymore, you can upgrade it to a new one with great functions. 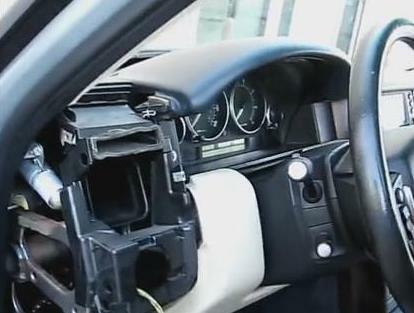 It would be easy to upgrade the head unit in a car stereo upgrade shop. But if you want to do it yourself, you’d better follow guide or ask a professional for help. 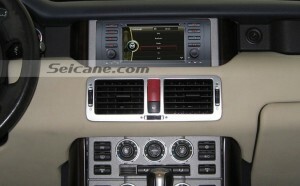 The following would be the removal steps of a Range Rover radio head unit for your reference. Please cut the power supply before the removal and protect the panels during removal. Prepare tools for the removal. You may need a plastic lever, a pair of 2 din release key, a screwdriver and so on. 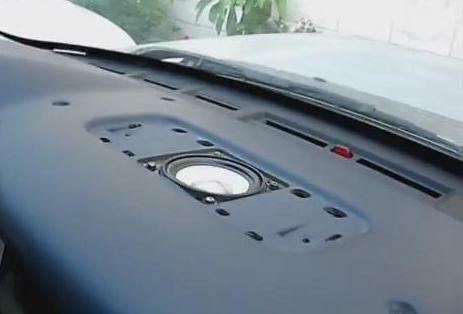 Remove the side panel, air vent and the panel around the air vent at the left side of the dashboard. See Picture 1. 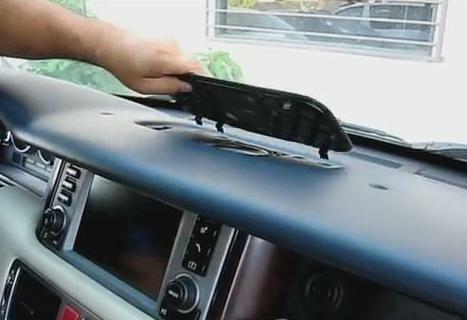 Use a plastic lever to pry the side panel and remove it. 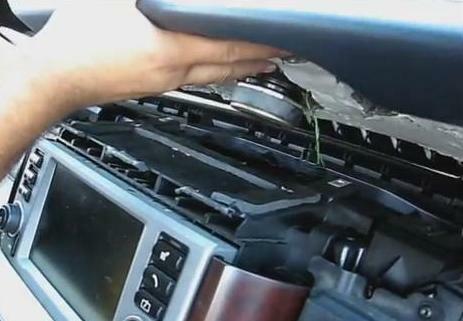 Then, use a pair of 2 din release keys to take the air vent out of the cradle. See Picture 2. 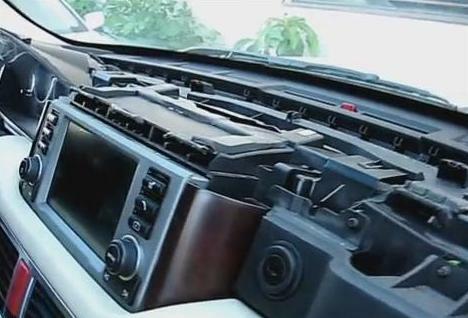 At last, remove the screws which are fixing the panel around the air vent and take it off the dashboard. See Picture 3. Remove the side panel, air vent and the panel around the air vent at the right side of the dashboard as step 2. Remove the cover and the screws on the dashboard. Pry the cover and take it off the dashboard as Picture 4. In Picture 5, there are many screws. Remove them. Remove the top of the dashboard. Lift the top of the dashboard as Picture 6 shows. There are wires connected the top and the car. Disconnect them and put the top away. After removing the top of the dashboard, you can see several screws which are fixing the head unit. Remove them, and you can take the unit out of the dash. 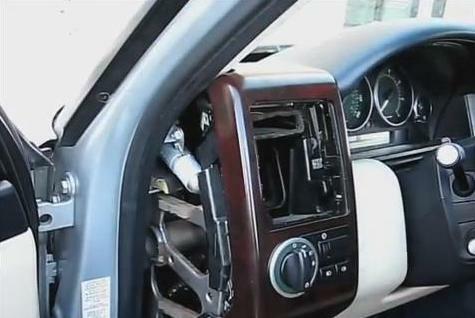 Next, install a new Range Rover radio head unit in the car. Please refer to the wiring diagram for your new unit and connect it to your car correctly. If you have any question about the installation, please contact your dealer. After connection, please test whether the new unit is compatible with your car. Follow the user manual and open every function in the unit. Once there’s problem, first check the wires connections. If the problem still exists, please ask your dealer or a professional for help. 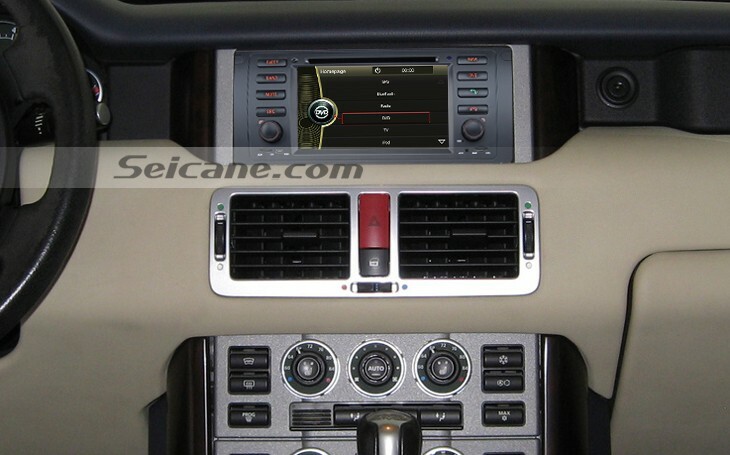 This car stereo is specially designed for 2003 2004 Land Rover Range Rover. It comes with navigation system for 3D maps with voice cues, road planning and so on. It supports radio RDS and stations preset. It has USB port and SD card slot for software upgrade, video, music and other media files from external devices. It also supports IPod music, AUX, backup camera, Bluetooth hand free, steering wheel control, Digital TV and so on. You are welcome to know more about this unit on website and get it with discount now.